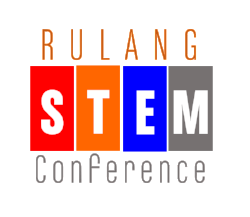 Rulang Primary in collaboration with Duck Learning organised the annual Rulang STEM Conference on 12th March 2018. This engaging STEM conference introduces educators to the Next Generation of Coding where coding can be done anytime, anywhere, across generations. One can easily code with an app on a tablet. When you bring the right tools into the classroom, listening becomes discovering, interest becomes a wonder and passive learning becomes active exploration. Lessons come to life with a touch, motion, and sound. Experience the ability to build and program your own inventions while learning how to introduce key aspects of STEAM – science, technology, engineering, arts and maths to your students. SAM Labs empowers teachers with the most engaging STEAM solution of lesson plans, apps an electronics. Their goal is to inspire every student to discover the fun in coding and creating. See your code crawl, roll or fly through the sky. Watch your code spring to life by programming real robots using Apple Swift Playground in this workshop. Swift Playgrounds is a revolutionary app for iPad that makes learning Swift interactive and fun. It requires no coding knowledge, so it’s perfect for students just starting out. Project Work is a learning experience which aims to provide students with the opportunity to synthesise knowledge from various areas of learning, and critically and creatively apply it to real-life situations. Find out how you can develop 21st-century competencies in your students with the right project work and what other schools are doing in this workshop. Learn from the best STEM practices in schools from Singapore and around the region. Understand how educators are making hands-on learning an effective way of developing 21st Century Competencies in their students. Collaborate with other participants to create a shared vision and manifesto for STEM Education. Find like-minded partners from schools and the industry to help jump-start exciting initiatives in your school. Become part of a community of hands-on STEM learning advocates.